A high quality perfume bottle, which holds 7.5ml of scented oil, complete with the cap, stopper and stylish string in which to hang the bottle. Simply remove the stopper and tilt the bottle slightly, so the cork within the cap is saturated with the perfume. The cork will release the great scent into the air, giving your car a wonderful aroma. This little bottle can be hung anywhere :- wardrobe, door way, caravan, door handle..... the list is endless. 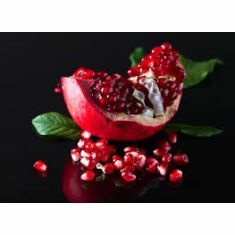 Pomegranate Noir:- Top notes of juicy plums, pomegranates and fresh roses, perfectly compliment a heart of patchouli, cedarwood, violet leaf and spices, all coming to rest on a musky base of amber, vanilla and leather.